Woosok Lee, the President and CEO of Kolon TissueGene, brings a broad and multidisciplinary international experience to the company. 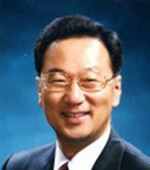 In addition to his role at Kolon TissueGene, Mr. Lee currently serves as the President and CEO of Kolon Pharmaceuticals, Inc., the President and CEO of Kolon ePlatform, Inc., and the President and CEO of Kolon Life Science, Inc. Mr. Lee received his MBA from the UCLA University in Los Angeles, California, and his Bachelor's degree in Economics from the Seoul National University in Korea. Dr. 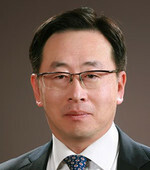 Moon J. Noh has been with Kolon TissueGene for over 16 years. Prior to his role here, Dr. Noh was the Director of the Biotechnology Lab at Kolon Central Research Park. 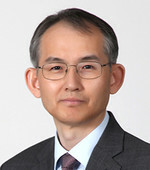 Dr. Noh holds a Ph.D. and M.S. from the Korea Advanced Institute of Science and Technology in Molecular Biology. Soon-Wook Kweon joined Kolon TissueGene, Inc. in May, 2017 as the Chief Financial Officer. Before he joined Kolon TissueGene, he served as the Vice President of the Management & Finance Division in Kolon Corporation. He received his Bachelor of Arts in Economics at Korea University in Korea. 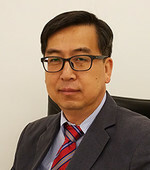 In addition to his role as the Outside Director at Kolon TissueGene, Jangik I. Lee also serves as the professor of Clinical Pharmacy and Regulatory Science in Seoul National University in Korea. He received his Ph.D. degree in the Clinical Pharmaceutical Scientist Program at the School of Pharmacy in University of Pittsburgh. 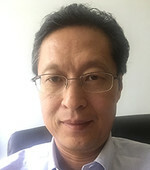 Young J. Kim’s extensive experience in mission critical systems is well balanced with in-depth expertise in engineering & technology management and systems & software engineering. He founded and successfully led companies in the U.S. commercial and government service industries for many years. He received his Doctorate in Engineering Management at George Washington University.